Is there some trick to replacing this thing? Seriously. I'm not a mechanic but I've worked on my fair share of cars. This one is a nightmare. Me and my buddies can't figure out how to get this strut out. We have it all unbolted but there's just not enough room to get the thing out from under the car. If anyone could please give me a hand/point me in the right direction I'd appreciate it. I have the car in pieces on my garage floor right now and I need to get it back together. Ok well good news. Strut and spring are out. Bad news, there's a stubborn part that won't come out so that I can get the quick strut back in. Any suggestions would help, please. 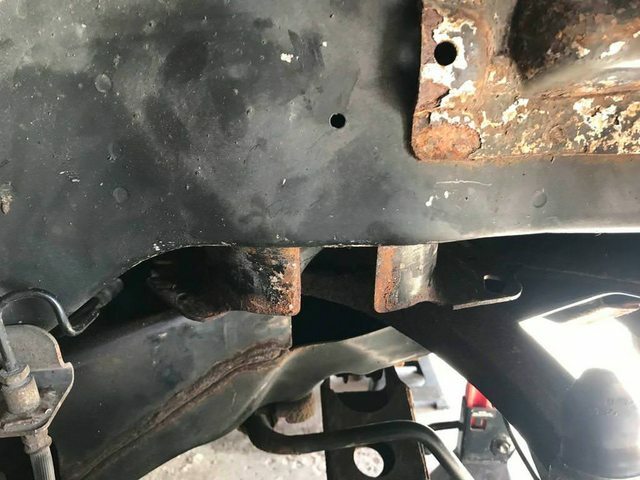 there should be trunk bolts.......you got those from the inside, right? HI, yes I did get the 4 trunk bolts. It look as though there's a lip or something on the rear of that "cup" that's getting caught on the frame from what I can tell. Unless I can figure out a way to handle that I may have to disassemble the quick strut to use the new strut and spring and reuse the mounts. That's not ideal but even if I get the mounts off the car I may not be able to get the new one in for the same reason. I swear they make engineering decisions to keep the average Joe from being able to do the work anymore. Yeah I saw a couple videos, most of them are for the fronts. The videos on the rear weren't too helpful but what I did take away was disassemble the quick strut and reassemble in place. Not what I want to do but it's what I'll have to do.